We’re looking for the best in vintage, mid century, vinyl, and handcrafted goods by Orlando locals for The Holiday Pop Swap! The Holiday Pop Swap is Sunday, December 16, 2018, 1p – 6p in the Audubon Park Garden District, conveniently located near Winter Park and Baldwin Park. 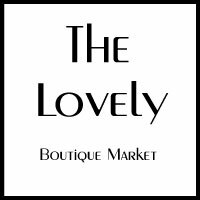 The event will be located in the parking lot of The Lovely Boutique Market, Dear Prudence and Park Av CD’s. This year we’re curating the vendor selection for the best possible guest experience, while also limiting the number of vendors in certain categories. We’re looking for the best in vintage, mid century, vinyl, & handcrafted goods by Orlando Locals! Please fill out the form HERE to be a vendor at The Holiday Pop Swap Market. Accepted vendors will receive an email confirming your space and payment registration. If you have any questions, please call The Lovely at 407.270.7729.